Tonight's SNS is 'Anastasia' by Slash & Myles Kennedy. I'm a big fan of Alter Bridge, Myles Kennedy, and Slash (in all his various incarnations). 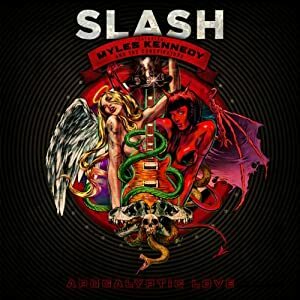 I just got Slash's new album Apocalyptic Love this week and I really loved this song. Here's the studio quality version, and below you'll find the live video because I always prefer to listen to Myles sing live, same with Adele and a couple of other artists. I just pray they don't use it in the 50 Shades movie.